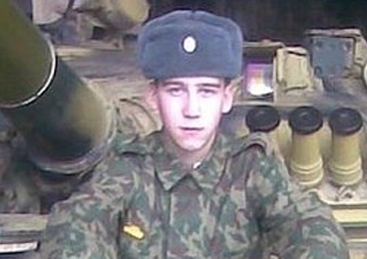 Young Komsomolskaya pravda (Chelyabinsk) journalist Sergey Ufimtsev returned from conscript service in May. He recently published a cheerful, humorous account of time as a soldier. He doesn’t regret his wasted year in the army. But he describes an army that Serdyukov’s (and Putin’s) reforms have not changed substantially. At least not his remote unit, and probably many others as well. Ufimtsev drew his ill-fitting uniform items and was sent to Ussuriysk in the Far East. He describes skimpy rations which left him hungry again an hour later. Officers left Ufimtsev and other new soldiers largely in the hands of senior conscripts, the dedy. They still exist despite the fact that one-year conscription was supposed to eliminate them. Ufimtsev says dedy took their new uniforms and cigarettes, and threatened them at times. But they weren’t really so bad. He actually learned from the soldiers who’d been around for six months. The non-Russians, Tuvans and Dagestanis, in the unit and their petty exactions were worse. Even officers feared them, according to Ufimtsev. He goes on to describe training in his air defense battalion. He got bloody blisters from endless close-order drill, and finally received his unloaded AK-74, which he cleaned often but never fired. It was kept with others under seven locks in the weapons storage room. This is why Serdyukov didn’t want to buy new automatic weapons for the army. It already has massive stockpiles of unused ones. 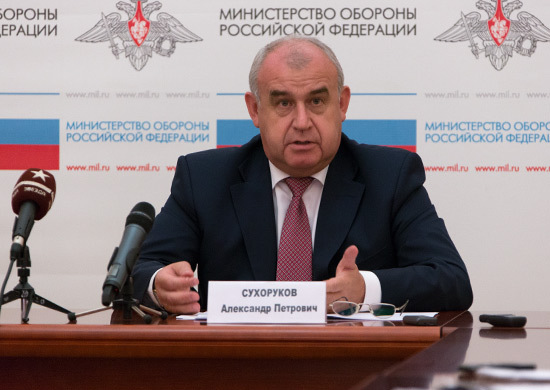 Ufimtsev says he and his cohorts were kept busy with non-military work. Money to hire civilians into housekeeping jobs apparently hadn’t reached his unit. His battery commander took most of their meager monthly personal allowance (about $13) to go to “the needs of the sub-unit.” The soldiers, mostly farm boys or technical school graduates, wore lice-infested underwear and got to bathe once per month. 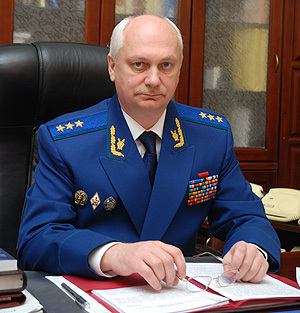 The situation improved some when a new major took command, according to Ufimtsev. Ufimtsev’s article drew so many comments that it’s possible only to summarize. A few readers were critical of today’s youth. One called them dolts, who cry to mom and dad, and wimps, not defenders of the fatherland. Another says real men should be silent about the privations of army life. Many readers drew the obvious conclusion that the author’s experience shows Russia needs an all-volunteer army. One reader said, in a couple of months at home, he could train soldiers better for less. He asks, “What’s the sense in such an army?” Several commentators remarked that generals’ complaints about a lack of money for recruiting career military professionals is a lie. Taking a break from Putin’s defense manifesto, let’s look at this year’s opinion polls on the army’s big holiday. Levada’s poll is not so interesting this year. Responses to its questions generally fell within the 3.4 percent margin of error of last year’s survey. But the number of respondents who thought drafted family members should find a way to avoid serving fell from 41 to 36 percent this year. 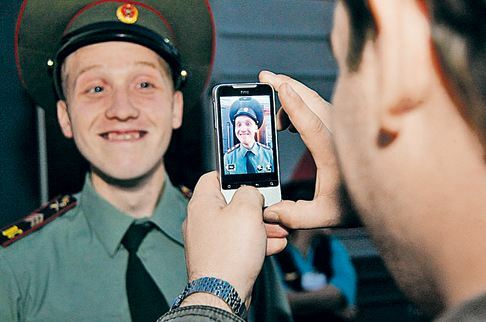 People also indicated a slightly greater belief that dedovshchina is more prevalent in the army. This year 19 percent think it happens everywhere against 13 percent in 2011. Those believing it occurs in a small number of military units dipped from 27 to 23 percent this year. VTsIOM’s results were actually a little more interesting. The agency reported again this year that 55 percent of respondents felt the Russian Army is capable of defending the country against a military threat. But on the current training of troops, 30 percent saw positive tendencies, 30 percent negative tendencies, and 29 percent said they don’t see any changes. A surprising 68 percent, according to VTsIOM, believe the level of outfitting of Russian forces with modern arms and equipment is average or higher. Still, 72 percent feel equipping the army with more modern weapons is needed to increase combat readiness (?!). Some 68 percent of respondents were aware, to one degree or another, of Russia’s military reforms. Sixty-seven percent consider them essential. VTsIOM, unfortunately, didn’t publish its exact questions and responses to each; it just aggregates its results in a verbal description. Essential but insufficient — 55 percent. Essential and sufficient — 12 percent. Not essential, better to end them — 8 percent. Hard to answer — 24 percent. Is the Russian Army's Combat Capability Increasing? A nice find on Mil.ru . 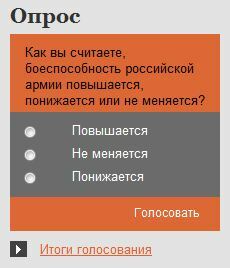 . . the Defense Ministry website has the Internet poll above on its front page. If you click on Voting Results, you go to the results of all surveys conducted by the Defense Ministry’s Sociological Center. To this particular question, 78 percent of respondents said its combat capability is decreasing. Stepping back a bit, clicking on Sociological Center goes to a narrative explaining a little about it. Its purpose is monitoring social processes in the military to work out scientifically-founded proposals on the morale-psychological support of military organizational development, training, and employment of the Armed Forces. It also provides information support to commanders, staffs, and personnel officers. The Center is charged with collecting data about the socio-economic circumstances of servicemen and their families. The military opinion surveying effort has been around for a while. During the first big push for contract service beginning in 2003, Defense Ministry pollsters actively asked contractees, or prospective ones, what attracted or discouraged them from signing up. We’re not told how or when these survey questions were asked. They’re likely Internet polls rather than more scientific random sampling. But one still admires the brutal honesty of publishing these results. They don’t accord with what Defense Minister Anatoliy Serdyukov wants to see or hear three years after launching military reform. They indicate how far the Russians have to go to turn around the perception, if not the reality, of life in the Armed Forces. At the same time, getting feedback is a critical step in correcting their problems. Your author has regrouped the survey results on various questions thematically. In the interests of brevity, only the answer with the highest percentage is shown. How do you evaluate the Russian Army’s current combat capability? 72 percent said low. Is three months sufficient to train a military specialist? 82 percent said no. What effect is the humanization of service having on combat readiness? 71 percent said it is causing it to decline. Are you satisfied by the media’s presentation of Armed Forces exercises? 75 percent said no. How do you evaluate the present level of combat training? 74 percent said poor. Can the Armed Forces reliably guarantee Russia’s security? 81 percent said no. Is there now a military threat to Russia from other countries? 79 percent said yes. Do you approve of the Russian Army’s activity? 62 percent said no. How do you feel when you talk about the Armed Forces? 52 percent said negative. Is it necessary for the media to discuss negative events in the Armed Forces? 75 percent said yes. How does the media portray the activities of the Armed Forces? 64 percent said not objectively. Do you agree that “A powerful army is a powerful Russia?” 80 percent said yes. Should draft evaders be punished? 68 percent said yes. How do you feel about draft evasion? 59 percent said negative. Does military service promote striving for a healthy way of life? 56 percent said yes. Would you want a close relative to serve in the army? 68 percent said no. Who should control the military police? 52 percent said the Defense Ministry. Do officers have enough powers to keep order? 84 percent said no. How do you assess measures to counter corruption in the army? 66 percent said they have little effect. Is “dedovshchina” an acute problem? 62 percent said yes. Should Order No. 400 premium pay continue or be discontinued? 80 percent said discontinue it. How do you feel about rotating officers’ duty stations? 51 percent are negative. How has Order No. 400 affected corruption in the army? 88 percent said it’s caused it to grow. Is there a “cadre famine” in the Armed Forces? 83 percent said yes. How do you evaluate the consequences of Order No. 400? 89 percent are negative. Where should priests be located? 42 percent said in battalions. Will priests help in forming healthy moral relations in the military collective? 55 percent said no. How do you evaluate the effect of the military mortgage system? 74 percent said low. Will higher pay in 2012 raise the social status of servicemen? 58 percent said no. Will requalifying military arsenal workers increase safety? 65 percent said no. Do military families live better or worse than people in your region? 77 percent said worse. Are social guarantees for servicemen sufficient? 86 percent said no. Has the prestige of the Armed Forces increased in the course of military reform? 59 percent said it remains at the previous level. The responses on the army’s capabilities weren’t new. One is surprised, however, at how negative respondents were on premium pay, how little they expect from higher officer pay, and the lack of any improved perception of the prestige of military service.